The 2004 Menorquin 160 motor boat is a smart choice for those wishing to experience a new sense of freedom in style and comfort. Jump aboard this Menorquin 160 in Pollensa and get ready for a high-speed adventure at sea with your friends and family. The Menorquin 160 accommodates up to 6 guests and is perfect for exploring secluded coves and beaches in Spain. The Menorquin 160 is located in Real Club Náutic Port de Pollença (Pollença), Pollensa, a convenient base to start exploring Pollensa on a chartered motor boat. Learn more about the Menorquin 160 motor boat below. 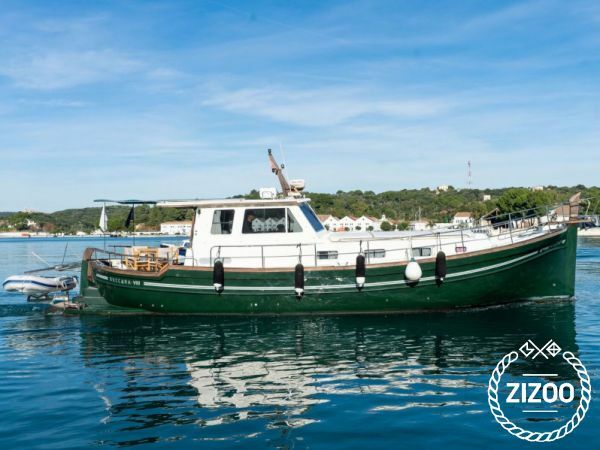 This boat can only be rented with an obligatory skipper supplied by the charter. Please send a request to confirm whether the cost of the skipper is included within the cost of the boat or will be an extra cost. Requested 20 times this week!